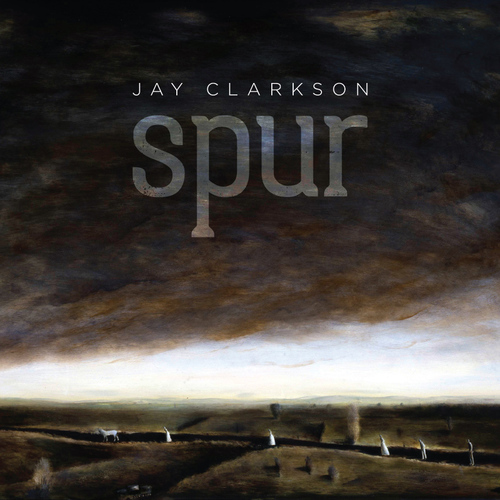 Following on from her last album, 2008’s critically acclaimed CD “Over the Mountain”, singer/songwriter Jay Clarkson has finalised another major work. “SPUR” showcases her most recent collection of recorded songs, all songs written in the time frame of 2010-2013, “Walking Boots” being the exception, this song having been penned around 2007. “As a collection of songs written over a period of four years, the songs tie together in some sort of love story, told through fleeting moments of observation, the ebb and flow of tide like moods conveyed through Clarkson’s distinctive voice, and swelling finger-picking, culminating in the instrumental tumble-weed track Spur, which rounds out the album.” Click HERE to read the full review on MUZIC.NET.NZ. “If you’re lucky enough to get one, savour the vinyl version, which features some wonderful moody artwork by Kathryn Madill. It sets a slightly sinister scene reminiscent of Vincent Ward’s famous film Vigil. There’s a sort of dark tension in the mood off set by the hovering, smothering bush – a classic Kiwi cinema theme. Somehow, it’s here in these songs. Along with gumboots, barbed wire, paddocks and stormy skies.” Click HERE to read Jim Gruar‘s full 13th Floor review. “Solitude is, in a way, the theme of these songs. Listen to them in the order and they form a kind of narrative – if not quite a novel in musical form then a set of interlinked vignettes.” Click HERE for Nick Bollinger‘s full Radio NZ review. Click HERE for Kim Hill‘s 27 August 2016 interview with Jay Clarkson on Radio NZ. Jay Clarkson live at RNZ, 28 September 2017.